Detail of urn from south. 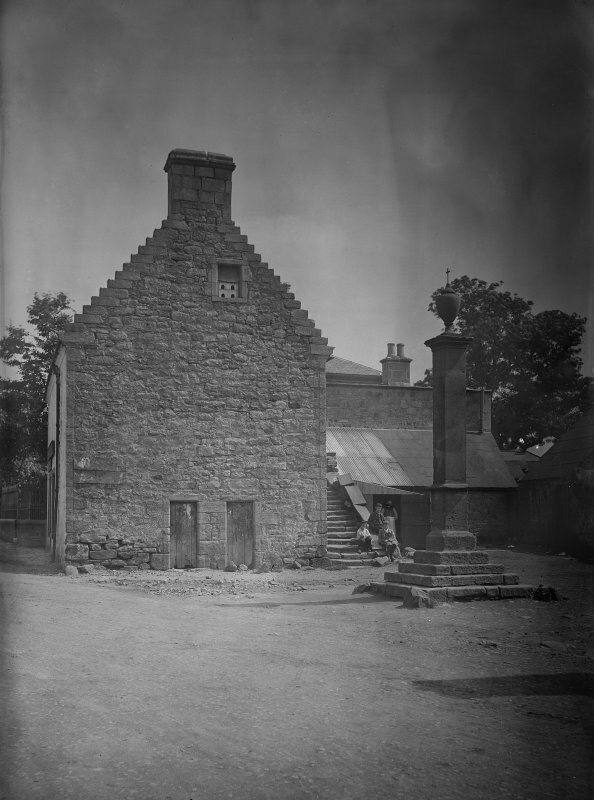 View of gable end of crowstepped building and mercat cross, Carnwath. 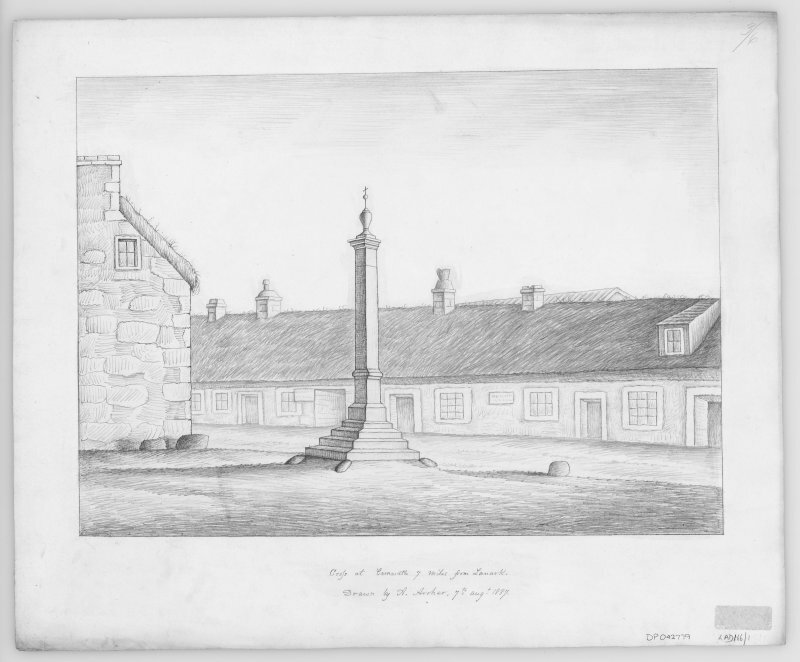 Digital copy of drawing of Mercat Cross. The surrounding buildings are shown as thatched. 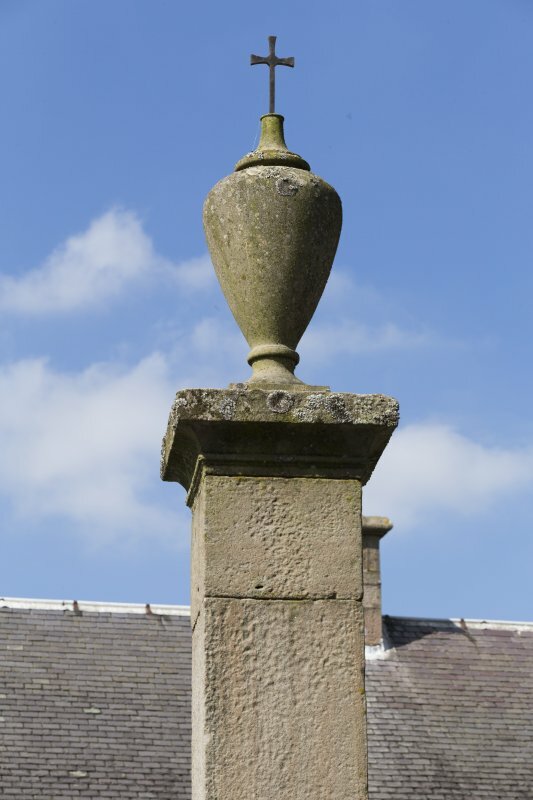 Other features of interest include a dormer window in a thatched roof, and a variety of chimney heads and pots. 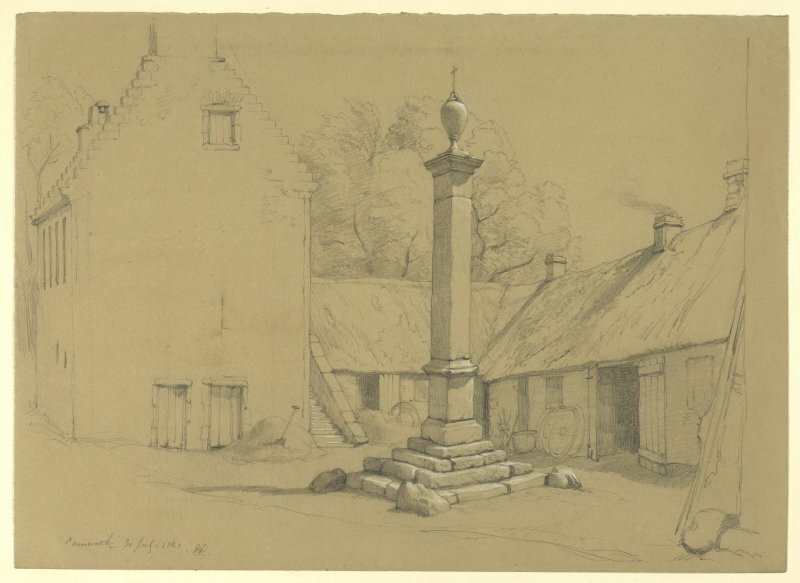 Drawing of Carnwath Market Cross. 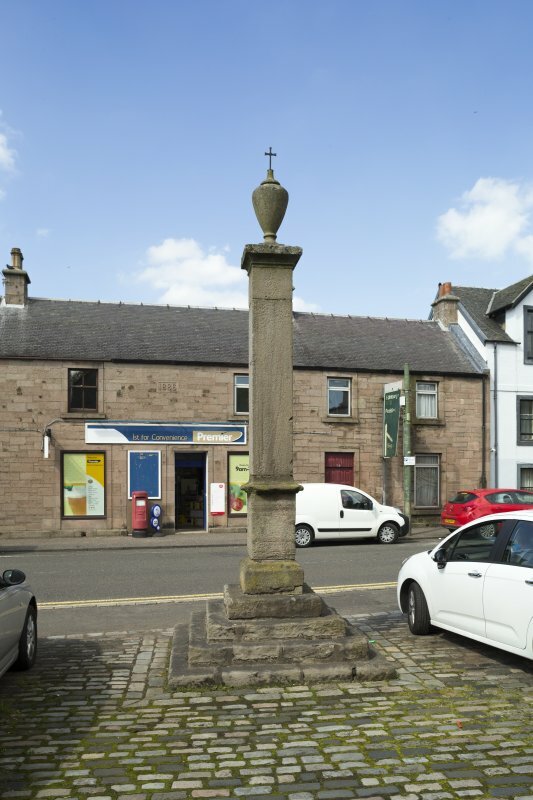 A 17th century market cross consisting of four steps with a base and cornice, and a square shaft crowned with a deep cornice and pear-shaped finial. 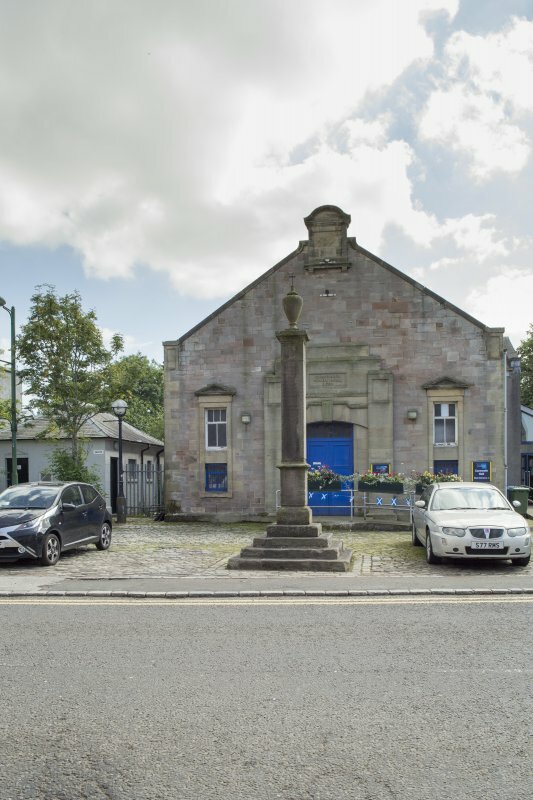 On the shaft is an inscription giving mileages from Edinburgh - Ayr. 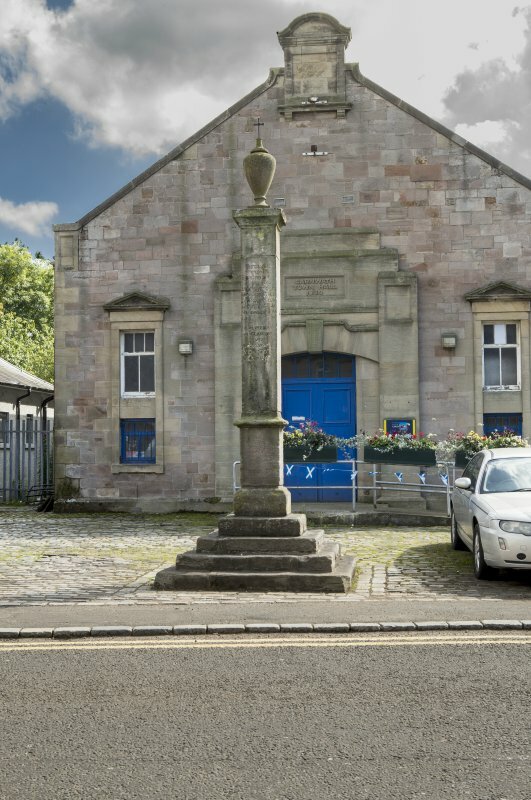 In 1679 Lord Somerville records a cross having been erected at Carnwath in 1516 by a predecessor, Hugh, Lord Somerville. 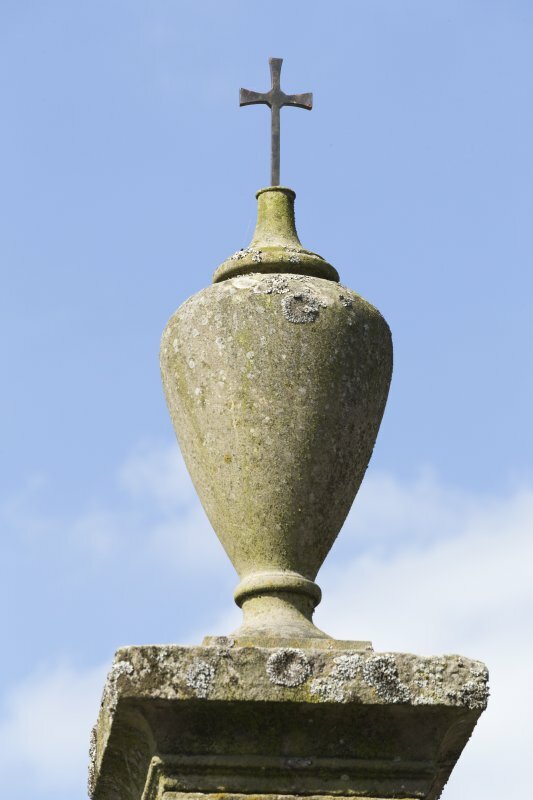 A market cross as described by Small except that the finial was blown down about five years ago and replaced by a small basin-like stone.